The first few months of the year is a peak period for relationship breakdowns; namely in the form of separation and divorce. Couples are now looking for fast and amicable ways to avoid the dreaded blame game. To do this, couples must act mutually in each other’s benefit, as hard as this may be. Listed below are just a few pointers to keep your divorce process as smooth as can be. For a peaceful divorce process, you must retain the same components that were utilised when you decided to marry: respect, compassion, shared concerns, shared values, strong communication and empathy. These ingredients for divorce are the foundations to help keep things as smooth as possible. An absence of bitterness or anger towards your partner is usually a sign to head towards the exit door. On the other hand, if you have any current feelings of resentment or anger, then that’s probably an indication that you aren’t ready to make the leap toward divorce proceedings. 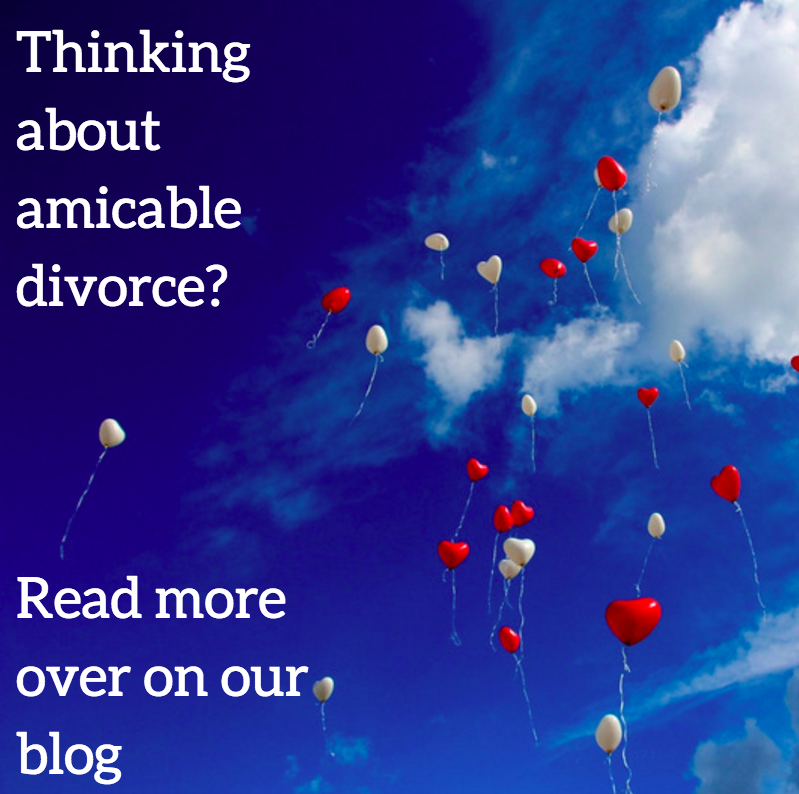 If you’re looking for an amicable divorce, give yourself time to listen to your feelings to make sure that they’re the ones leading the decision. Try not to overshoot this though – it can be a recipe for further resentment. If you and your partner furthered your relationship by conceiving children, you must continue to honour your and your partner’s roles by continuing to commit to parenthood. Parenting is a role you hold for life once it has commenced. Make sure that if you and your partner do decide to divorce, be prepared to continue seeing your partner when performing co-parenting duties. Going through with a divorce doesn’t always have to spell failure. If you’ve spent a long time with each other, it’s likely that you have shared and created a family, as well as many happy memories, which will no doubt last a lifetime in your mind. Despite living in different houses and leading different lives, you and you divorced partner will continue to share many memorable moments throughout life. You will always be family and that is something to be proud of. Be sure to stay transparent throughout the divorce process by talking to friends and family about what’s going on; many people don’t know how to react when being told about divorce as the subject is often stigmatised. By keeping friends and family in the loop about the divorce proceedings, they won’t feel the need to ‘choose sides’ and make up stories about whose ‘fault’ it is. For instance, you could send a joint email to your friends and family detailing your desire for a peaceful, ‘no fault’ and ‘no sides’ divorce; you’re still a family, but you are living in separate locations. Not physical pain, of course, but financially. By spitting a singular household support system into two separate households, it’s natural to be financially worse off. However, you should both be hurting equally in this situation because you are no longer benefitting from combined household expenses. Just because you’re separated, it doesn’t signal the end for fun. If you and your partner are committed to social activities such as sport or leisure opportunities, don’t let the divorce get in the way. These regular rituals can form a sense of continuity and can help to keep the family closer together, despite the divorce. Whiterose Blackmans are specialist divorce solicitors in Leeds. If you find yourself going through a divorce and want to keep things as amicable as possible, you can receive professional advice from one our dedicated members of the family law team in Leeds. Get in touch today.